Leicester City new Manager, Brendan Rodgers believes Super Eagles’ forward, Kelechi Iheanacho can bid farewell to his barren run in front of goal under his reign. Iheanacho despite playing under several managers such as Craig Shakespeare, Michael Appleton, and Claude Puel has failed to show any sort of consistency for a period of games. Ever since arriving from Manchester City at the King Power Stadium, the 22-year-old has struggled to replicate his goalscoring heroics. The Forward even failed to get listed in Nigeria’s team for the upcoming games against Egypt and Seychelles during the international break. Rodgers who is now in charge of Leicester City has made it a priority that Iheanacho returns to goalscoring form soon according to a report by Leicester City Mercury. “I think it’s about improving every player, I’ve always seen that as my job. “It’s been hard for Kel because he’s come in and he’s been a secondary striker at Manchester City. All of a sudden he makes a move for big money and I think everyone can see the potential.” He said. “Actually my job is not to put them in a trap of pressure and take that away from them. Enjoy your football, but ultimately your first job is to press and work hard. From that what can you add into your game?” He continued. The Irish equally pointed out the inflexible nature of the Nigerian but believes a “diamond” formation might make room for his inclusion. “I think he’s a great talent but he’s a number nine. He’s not one who can play on the sides or come in. “Some strikers I’ve worked with, you can maybe shuffle them about and slide them around to make it work – but he’s a number nine and that’s it. And we already have a good number nine. So he’s got a fight to get ahead. “But there’s maybe another system to make it work, like a diamond,” Rodgers said. 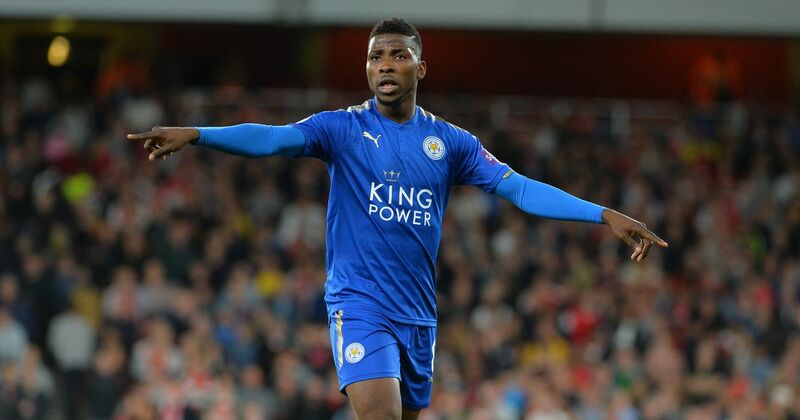 Iheanacho was an unused substitute in Leicester City’s 3-1 victory over Fulham last Saturday but is expected to return to action when Leicester City take on Burnley in their next Premier League encounter scheduled for Saturday, March 16.